The Brazilian operators are struggling to deploy the country's networks at the pace required by increasing consumer demands and regulatory requirements. In order to help meet this demand, Arqueiro Telecom has introduced our "Shared Backhaul" product. 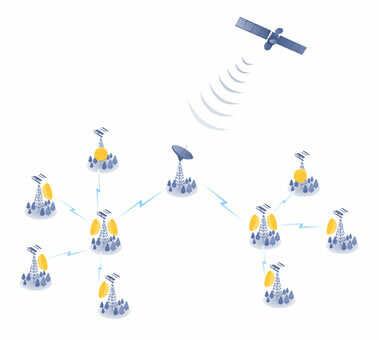 Allowing access to our network of high capacity microwave links to all operators on a sharing basis. In fact, the original concept for this model was brought about by the brightest people around - our customers! As the operators struggle to expand coverage and capacity throughout Brazil, Arqueiro provides the planning, deployment, and management of our own networks - saving our cutomers time, capex, and management resources. Wireless backhaul is the part of the network that carries voice and data traffic from the mobile base to the operators’ core network (i.e. to the operator’s closest point-of-presence). At Arqueiro, we are extremely proud that our work improves the experience for wireless subscribers throughout Brazil. Our high capacity links improve the coverage, capacity, and quality for any and all carriers in Brazil. Also, as we sell to all carriers, we can provide all of this at a cost much lower than if the carriers were to do this on their own. 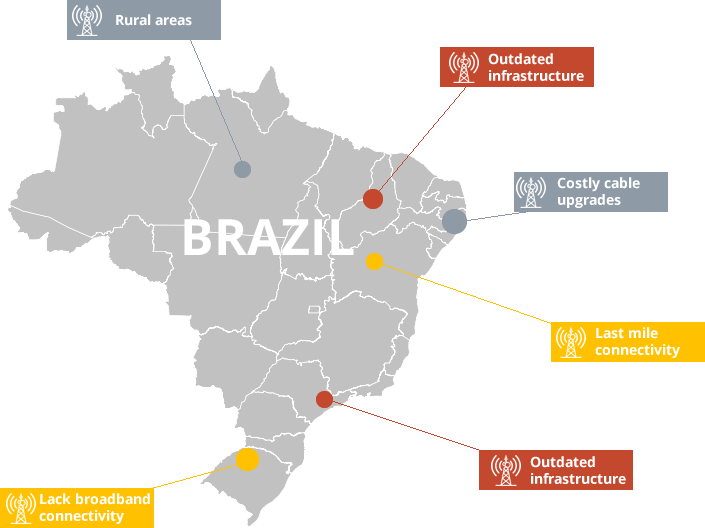 Our high capacity links improve the coverage, capacity, and quality for mobile and fixed wireless operators in Brazil. Wireless backhaul, principally, point-to-point wireless, can extend broadband connectivity further and faster than with structured cabling or fiber. 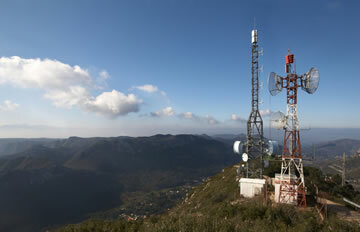 Wireless backhaul also can be deployed to expand the last mile wireless connectivity for a fraction of the cost. In both urban and rural areas where there is either no existing cable infrastructure or the existing cable infrastructure is outdated, the implementation of a wireless MW ethernet radio proves to be more flexible and scalable than traditional methods. Wireless backhaul equipment costs these days are lower , easier and quicker to repair, quicker to upgrade, and costs less to maintain. Arqueiro was founded by Alex Sepehri-Nik and Steve Roberts. Alex is the former Founder and President of Brazil Tower Company (BTC), where he was one of those responsible for leading the growth of BTC from inception into being the most successful “Build to Suit” cell tower company in Brazil within 3 years. Steve joins the company from ON Telecom where he was one of the founding members of ON Telecom (now the largest fixed-wireless operator in the State of Sao Paulo), where he managed the rollout of their 4G fixed services.